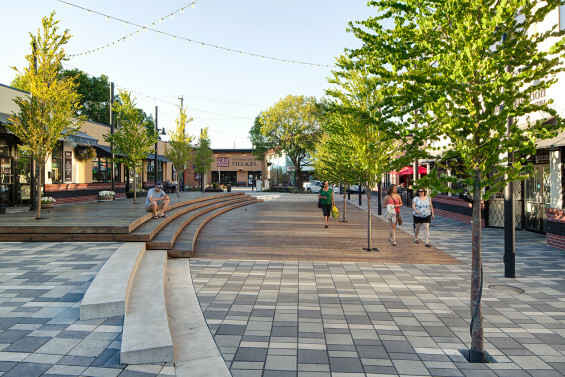 Hapa Collaborative worked with the City of Langley to revitalize McBurney Lane in the heart of the town’s historic downtown. 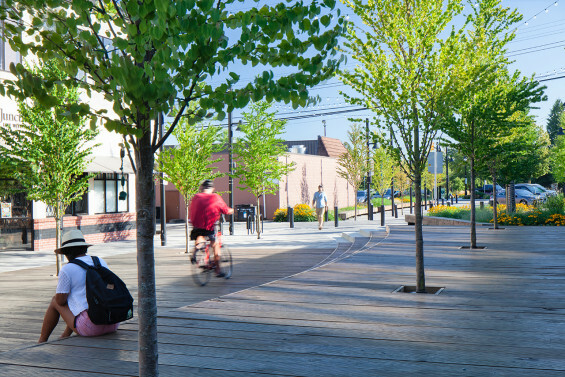 Guided by the City’s downtown improvement plan, McBurney Lane was chosen as the initial project to invigorate a tired and underutilized space, to strengthen pedestrian connections between Fraser Highway – Langley’s main street – and Douglas Park, its largest public green space, and provide programmable spaces for events and activities in the Lane. 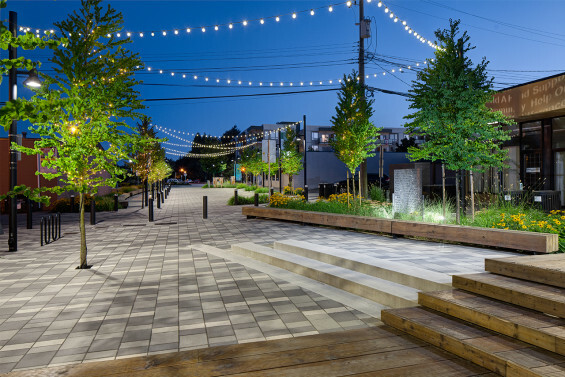 Previously a laneway dominated by parking stalls and travel aisles, McBurney Lane now emphasizes pedestrian safety, comfort and connectivity while providing clear connections from the historic centre to Douglas Park’s new amphitheatre and cenotaph. The linear space features arching benches, a unified paving system, a double row of Katsura trees with drought tolerant perennials and grasses. At the centre of the lane, a large wood deck cascades across the lane and provides a venue for staged performances and casual seating. Coordinated with the relocation of 26 parking stalls from the lane to the adjacent Douglas Crescent, the Lane is now a pedestrian-priority space and an improved venue for many major events including the Arts Alive Festival and the Langley Good Times Cruise-In, one of the most popular mixed car shows in North America. 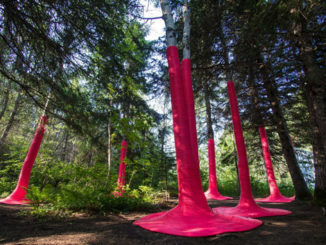 Hapa acted as the prime consultant for the project, and worked with the City’s Chief Administrative Officer and a team of engineers and consultants to design, document and oversee construction of the work between 2011 and 2013. 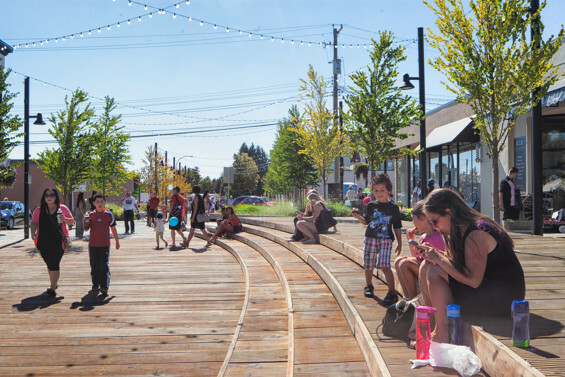 The impact of the improvements to McBurney Lane are evident: where there was previously a space dominated by parking and travel aisles, there is now a pedestrian-priority linear urban ‘room’ connecting two major destinations in the heart of Langley. 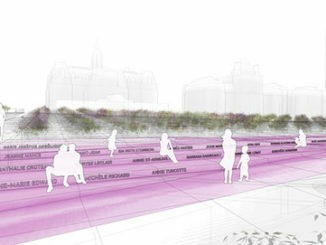 Where there was a tired and dated space with struggling tree planting, there is now a space that supports a wide variety of events programming and casual occupation, and a substantially improved planting of urban trees using structural soil, decking and seating using local wood, drought tolerant perennials and grasses and vehicular grade unit paving. 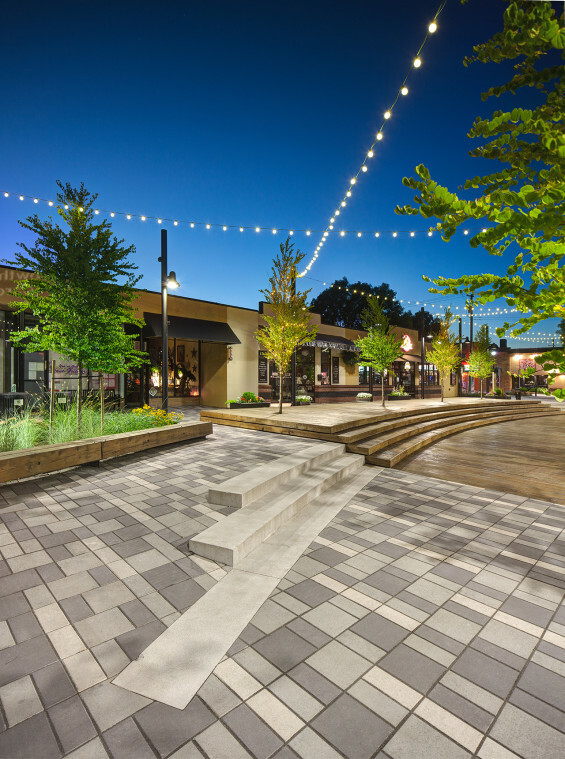 Although highly debated during the design process, the use of wood for seating and surfacing was ultimately chosen to lend warmth and a more intimate scale to the space, while acknowledging the historic use of wood for sidewalks in old Langley. 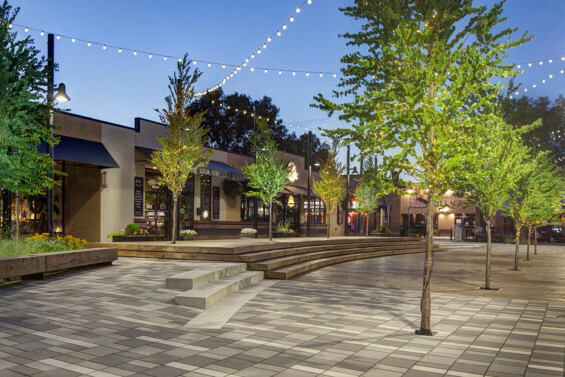 The public realm improvements for downtown – kick started in McBurney Lane – assist in catalyzing development of adjacent downtown blocks facing onto the Lane, and support the activities and owners within the Downtown Langley Business Association.